What Will Happen If I Don’t Treat My Periodontal Disease? The prognosis for untreated Periodontal Disease does not have the best outcome. Periodontal Disease not only can affect your teeth and gums but research has found it can affect your overall health as well. As for your teeth, the beginning stages can cause painful chewing, bleeding gums and bad breath. Most people believe that if they don’t treat their Periodontal Disease, losing some teeth and having difficulty eating steak or corn on the cob would be their worst problem. However, that is far from the truth of what this untreated bacterial infection can do to you. As medicine continues to advance, scientist continue to find supporting evidence of the association between periodontal disease and systemic conditions. These conditions reach far beyond your teeth and can affect your health in a negative way. Periodontal Disease is a bacterial infection under your gums. As with most infections, if you don’t treat it, it will only get worse. This infection works by breaking down your gums and detaching your gums from your teeth. Over time, once this infection has progressed and has gone untreated, tooth loss will be imminent. But there is good news! Periodontal Disease can be prevented and treated. I know you have been told all through your life that good oral hygiene is important for healthy teeth and gums. It is true! Regular brushing and flossing can mitigate your chances of gum disease. That however is only the first step. Regular dental check-ups and dental cleanings are important for maintaining a healthy smile. 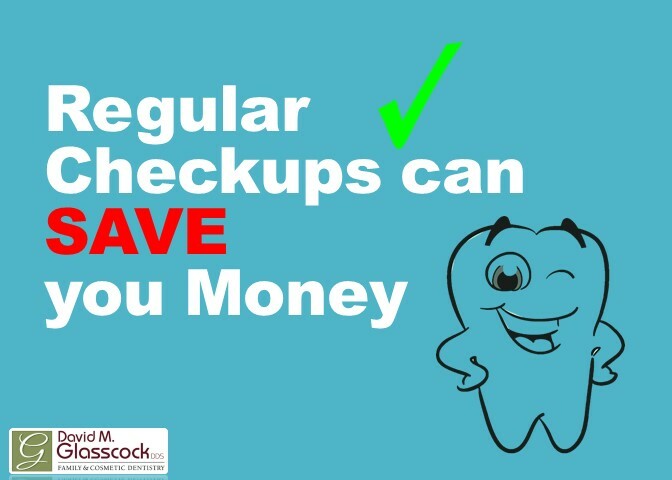 Regular Checkups Can Save you Thousands!